Dr. Allison Sylvestsky, Assistant Professor and Director of the Nutrition Science undergraduate program at George Washington University, will discuss nutritive and low-calorie sweeteners, sharing research findings and key considerations focused around health and weight. Sylvestsky will also outline gaps in the evidence and future research needs for sweeteners. Can’t make the live webinar? Don’t worry – you can access the recording in the siggi's sessions portal on March 4, along with all the other sessions’ webinars available on-demand. If you are new to siggi’s sessions or have already signed up but forgot your password, just sign up to receive a password! 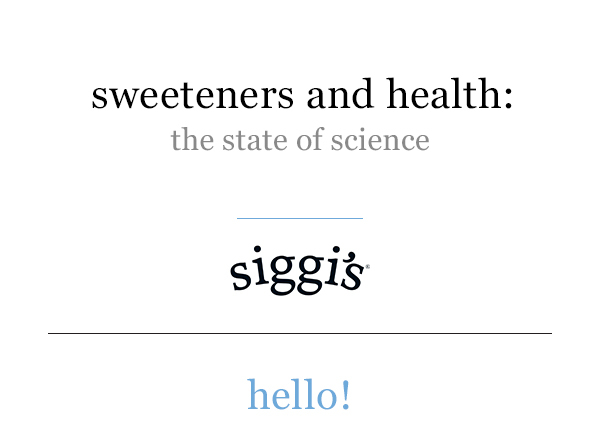 Want to stay in the loop on the happenings here at siggi's? Join our health and wellness ambassador group!